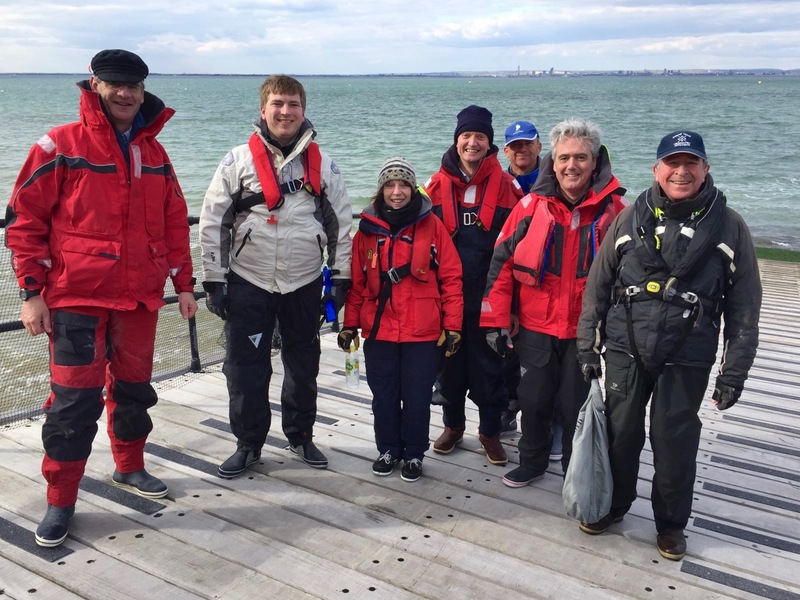 After a decade of inactivity the Law Society Yacht Club has awakened from a somewhat lengthy snooze to sail its first competitive event in over 10 years. On our last outing, our Annual Match against The Bar Yacht Club at Cowes in 2004, we prevailed but on this occasion, at Sea View YC Isle of Wight, on St George's Day, the Bar, expertly led by Lord Justice Briggs, supported by Alex Charlton QC, won by a comfortable margin. 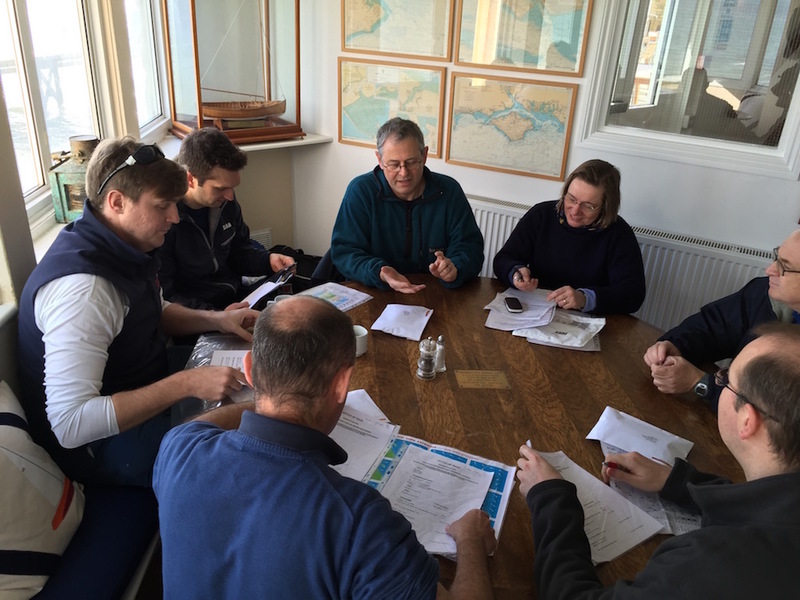 Preparation: clockwise from left: Will, Alex, Nick, Frances, Michael, Antony and Finbarr. 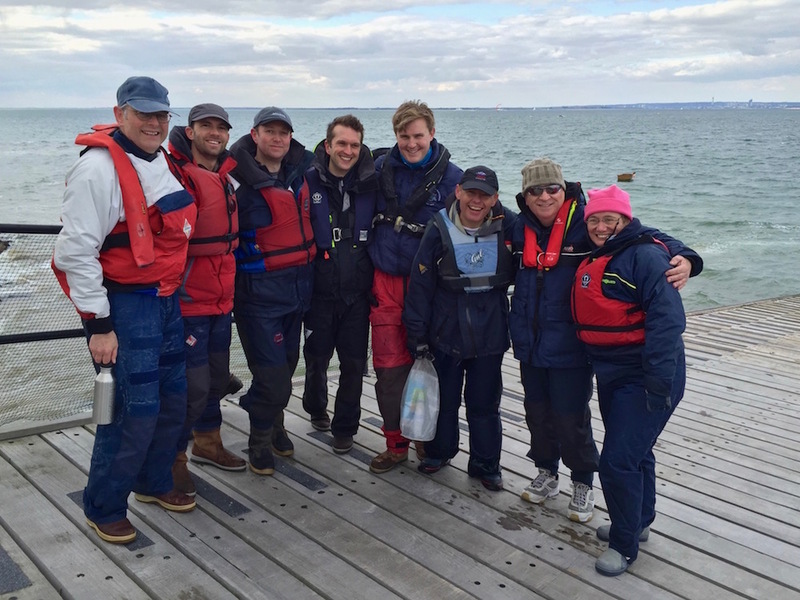 Despite a chill north-easterly, the racing in the wonderful Seaview Mermaids was close and exciting, as our match against our learned friends formed part of a larger event with teams from the House of Commons and the Worshipful Company of International Bankers. The Bar won overall, by a fine margin from the International Bankers, whilst the Law Society showed a clean pair of heels to the House of Commons who themselves overcame some challenges in getting across the Solent to Sea View in the first place. The club sailed its first event at Sea View YC in Mermaids in June 1957 when members competed for the Royal Thames Trophy and then sailed a Team Race against Sea View YC the following day. The same year the club's Commodore Ernest S. Harston was knighted by the HM The Queen. 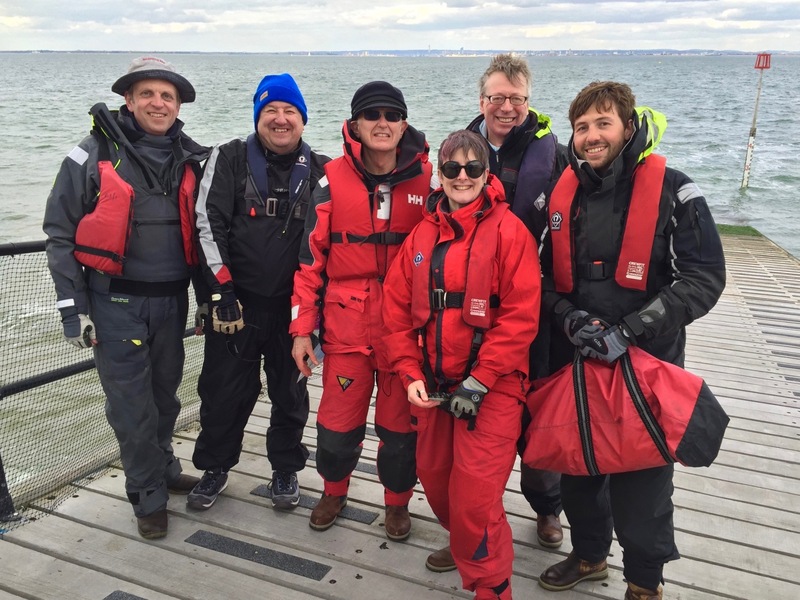 The Law Society YC are delighted to have got back on the water largely through the perseverance of Finbarr Leahy and look forward to many more outings, both racing and cruising in the future.